00:00 Megaf How do I make it backwards compatible? 00:01 Megaf VanessaE: I attempted doing this. 00:02 Megaf RealBadAngel: maybe you can help me? 00:23 btoothpick The downloaded ones have not worked on my windows server either. 00:40 Megaf whats going on with my internet!? 00:56 btoothpick I'd like a link for a .we file created with world edit 1.0 . I want to see if that crashes my server too. Maybe the wget I've installed is corrupting them, and this might confirm it. 01:18 btoothpick Sokomine, ok thanks. 01:20 btoothpick I'm going to see if I can find one in the latest format to test. 01:21 btoothpick I'll test one of those first though. 01:25 OldCoder moreblocks does not presently define slabs. What mod defines them? 01:27 btoothpick the wget of these .we files are actually html files that have the instructions on what appears to be a pastebin type site. 01:27 btoothpick maybe world edit normally parses them. 01:28 btoothpick However when I save an area in world edit, the .we file created looks nothing like these. 01:30 btoothpick Going to test now. 01:32 OldCoder RealBadAngel, can you comment on slabs etc. in moreblocks? 01:36 btoothpick Resolved! I just edited the worldedit issue to reflect it was user error, and not something with the code. 01:37 OldCoder Sokomine "moreblocks:slab_wood_tile_full_quarter_wall" how do I get that? 01:38 Sokomine oldcoder: silvercrab or something more current? 01:38 OldCoder But where is it defined? 01:39 OldCoder Is that a known slab? 01:41 VanessaE Sokomine: moreblocks should still have those legacy conversion ABMs I added a long time ago, does it not? 01:41 OldCoder One more time, is that a known node? 01:42 VanessaE -- inverted, wall, etc to regular + 6d facedir"
01:42 VanessaE so, OldCoder: update to current moreblocks, make sure you're not using some external copy of stairsplus (use the one that comes as part of moreblocks) and those nodes should auto-convert. 01:48 OldCoder So the node depends on those? 01:49 OldCoder Still unknown; so that is not a usual node? 01:50 VanessaE OldCoder: wat? you uncommented those two lines in the active copy of the mod and the unknown nodes still persist? 01:50 VanessaE lemme take a look at the ones I had in mind..
01:52 VanessaE that shoulda been caught by the conversion code. 01:52 OldCoder conversion from which to which? 01:56 VanessaE OldCoder: I think the ones I'm naming are just newer than when the conversion code was written. I should be able to give you a patch to adapt it. can you check silvercrab's logs and look for attempts to insert CONTENT_IGNORE or undefined nodes? 01:57 OldCoder VanessaE, what debug setting will give max output? 01:58 VanessaE I think it's everything that's supposed to be turned vertical. 01:59 VanessaE I've got a moreblocks:panel_wood_vertical at 243,35,174 that didn't convert. 01:59 VanessaE lemme look at the code. 02:21 AgentFire VanessaE: Do you know a lot about Minetest? 02:23 VanessaE OldCoder: gimme a few mins. 02:25 AgentFire VanessaE: Can you help me figure out a problem I'm having then? 02:26 AgentFire Error: Some exception "bad allocation"
02:28 VanessaE AgentFire: try another minetest build? 02:29 AgentFire What do you mean? 02:29 VanessaE OldCoder: aside from some texture glitches on the glass slabs (might be my fault, HDX's moreblocks support is a tad outdated) this seems to be "good enough" now. 02:29 VanessaE AgentFire: "bad allocation" sounds like you're using Windows, right? 02:33 VanessaE AgentFire: maybe a *newer* build - did you get it from minetest.net or from the forum? 02:35 OldCoder carlvelleri, go and check now maybe? 02:39 VanessaE AgentFire: blocked *my* website? what's wrong with digitalaudioconcepts.com? 02:41 VanessaE then I suggest you call the admin right away and complain, loudly. 02:45 VanessaE you don't want that mod in this world. 02:45 AgentFire So there's nothing I can really do to make more RAM VanessaE? 02:46 VanessaE how much do you have anyway? 02:47 VanessaE OldCoder: wait on that. 05:00 AgentFire So is Mese or diamonds better for pickaxes? 08:32 * VanessaE cancels her plans to head to bed. 09:19 VanessaE I'm off to bed. night. 10:48 davegoopot Hello. I'm creating a new game on linux on debian. I installed via apt-get minetest-server. Where are the default games stored so that I can copy their mods over to my new game? 10:50 davegoopot Yes got that bit thanks. The question is where in the debian install are the default minetest game mods stored? 10:51 davegoopot Got it! Thanks -- I was being slow for a Sunday morning! 11:27 Megaf_ Is that easy? 11:31 Megaf_ It will work, right? 12:06 Megaf_ ElectronLibre: borked shaders? 12:06 ElectronLibre No, just a modified sky.cpp recompiled. 12:08 PenguinDad Good morning everybody! 12:08 ElectronLibre But it's still wonderful, in my opinion *-*. Because I've (finally) been able to compile on Windows, I can now run something less laggy than on my poor little Linux.. And it's beautiful :D.
12:08 ElectronLibre Hello PenguinDad :). 12:14 Fritigern nore: What did you think of my fixes to mg? 12:18 Fritigern It all seems to start with pipeworks failing. Did you try updating that yet? 12:24 Megaf_ now mesecons is dependecie of pipeworks!? 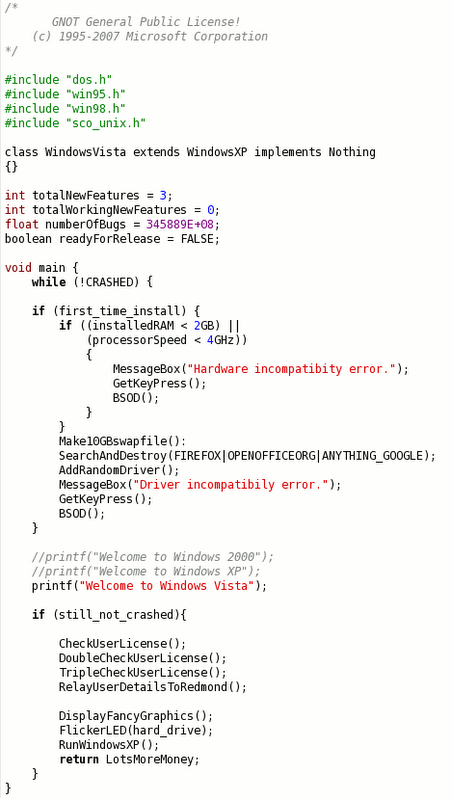 12:34 Megaf_ VanessaE: Why exactely does that needs such a new commit? 12:44 Megaf_ Changing topics, its a good idea to squash commits before submiting a PR, isnt it? 13:06 ElectronLibre Hello weird nickname :D.
13:08 ElectronLibre It's going.. like yesterday, and like tomorrow, I feel a little bit bad and a little bit bored.. but I'm happy because I can now provide to some people I know my special build for Win32. And you y? 13:09 ElectronLibre Updating the mods or the binaries? 13:10 AgentFire ElectronLibre: Can I ask a stupid question? 13:10 ElectronLibre If I can answer by a stupid answer, so yes :D.
13:11 AgentFire Do people date often on minetest servers, because I've been to a few servers where they had signs for the rules saying No Dating on the server. 13:12 ElectronLibre I think it may happen sometimes, on some servers..
13:13 ElectronLibre But it's mainly teenagers I think.. (about 15, 16 years old). Sadly, I've heard, from prople who have played MC, that it happened a lot on some MC's server... So I just hope it won't happend a lot on MT's servers..
13:14 ElectronLibre Oh, hello btoothpick. 13:14 ElectronLibre CWz, so we're starting to drift... ._. 13:14 AgentFire CWz: So like, I have a girlfriend, if the server has a rule about not dating, does that mean we can't play together on the server? 13:15 ElectronLibre AgentFire, you can play together. I think it's more about people who come in a server in the only purpose to date someone. 13:16 AgentFire Ahh okay. Honestly, I doubt my girlfriend would play though, she's not much for video games, but I've been suggesting it, because I think it'd be something fun for both of us. 13:17 ElectronLibre I know people who play with their [girl/boy]friend, there is no problem if they do not act like it they were alone. 13:17 ElectronLibre Greetings too btoothpick, what's new? 13:18 btoothpick I'm going to learn how to print the world into a 2d map this week. 13:18 AgentFire catninja: Well, I'm glad I got some good answers. 13:18 btoothpick One of the students can't find the "school" anymore. 13:18 btoothpick Need some sort of hansel and gretel mechanism perhaps. 13:18 AgentFire ElectronLibre: Honestly, I think anything that's couple related would probably be saved for skype. In fact, we might not even talk in chat, just talk via the skype call. 13:18 btoothpick or landmarks they will notice on the 2d map. 13:19 y totally unrelated, anyone here has taken any MOOC? 13:19 ElectronLibre AgentFire, why not speaking in real life? 13:20 AgentFire xD Yeah, I don't doubt it. I'm just glad I have a girlfriend, and it's not something where I had to go on a video game server to find her. 13:20 PenguinDad AgentFire: Is LDR the opposite of HDR? 13:21 ElectronLibre Oh, I see. 13:21 catninja ElectronLibre: yep they are a handfull in all aspects. 13:22 btoothpick I have to switch computers. 13:22 catninja ElectronLibre: on the clan wars server some have been asking to join the kingdom "spawn"
13:23 ElectronLibre I cannot even understand why they do that.. ._. 13:28 ElectronLibre It is slow? What system is it using? 13:29 ElectronLibre How much RAM? 13:30 ElectronLibre btoothpick, yes actually it would, no, it will. 13:30 btoothpick My kids want a computer for Christmas...I tried a live linux cd on this, but club penguin was still too slow. 13:31 ElectronLibre btoothpick, which distro did you used? 13:32 ElectronLibre I don't know it. Is it a debian derivated? 13:32 btoothpick Yes, it is nice I use it at work on our old computers...thinking about it, I used the 32 bit version, and this is 64 bit, I will get the other iso and test that. 13:33 Megaf_ [13:11] <AgentFire> Do people date often on minetest servers, because I've been to a few servers where they had signs for the rules saying No Dating on the server. 13:36 btoothpick How much do mobs slow down a server? 13:36 ElectronLibre Polluated? Wait a minute, it's "polluted" (I think). 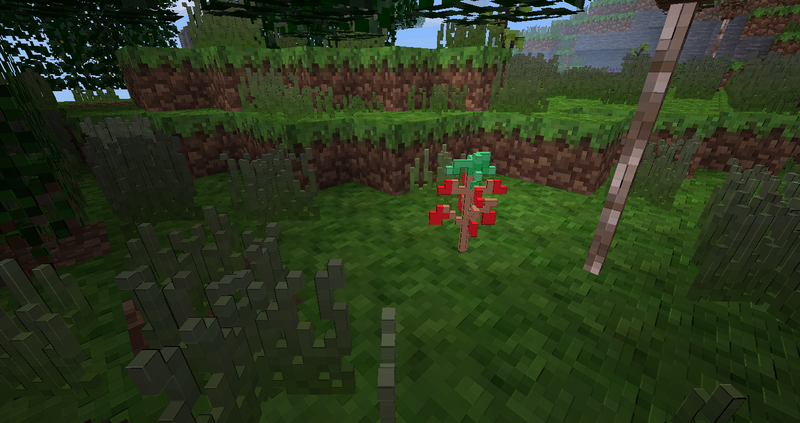 13:36 ElectronLibre btoothpick, it depends on which mod(pack) you use. 13:38 ElectronLibre It might be slow, I don't know which mod are used..
13:39 btoothpick That was my assumption. After I get a dedicated server for minetest I'll test it out. 13:40 btoothpick I had gotten approval for a grant to buy minecraftedu, but cancelled the grant after testing minetest. 13:41 btoothpick I just have an issue with the f bomb in some of the licensing files...even though I know what they mena. 13:43 SylvieLorxu btoothpick: Yeah, the WTFPL isn't really professional. You could probably relicense it to any other license, though, because it allows you to "do whatever [...] you want to"
13:48 * btoothpick is not too familiar with software licenses. 14:02 btoothpick Care to elaborate on the title? 14:14 btoothpick RealBadAngel, I see now, the bot message didn't have the link. 14:15 btoothpick Can textures be loaded alone. 14:38 ecutruin RBA, can extrude nodes still be rotated however one wants? 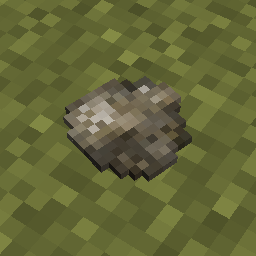 14:45 ecutruin I meant more.. that you could use extrude to have say the look of a rock on the ground (rock just being a flat extruded pixel art. 14:47 Megaf What am I doing wrong? 14:49 ecutruin Random is a plus.. but I'm more asking about the rendering of a extruded pixel art along the ground like that.. instead of it being up like torches. 14:49 Jordach ecutruin, specific extrusion? 14:50 ecutruin Like I said.. I want to replicate the image I linked. 14:52 ecutruin That's why I was asking RealBadAngel if their extrude feature could do that. 14:55 * Megaf "accidentaly" replaced all mushrooms by cobblestones. 14:56 ecutruin I'm sure I could do it quite easily by just importing the image into Qubicle, and exporting it as a mesh.. super easily, in fact.. but figured I'd see if it was possible via extrude.. especially for animation options. 14:59 Megaf isnt it any other way to fix what I did? 15:15 * ElectronLibre uses RQZD on an AZERTY keyboard. Useful when you need one hand for an external mouse. 15:16 ElectronLibre On qwerty or azerty or both? 15:41 Jeija Is there any way to protect settings so that they cannot be modified by any mod? 15:41 Jeija I need a way to disable something that mustn't be re-enabled by a mod. 15:52 Jordach Jeija, by removing the settings in the first place? 15:53 Jeija How would you enable it then? 15:54 Jeija I got it all working, but that is the missing piece. 15:57 Jeija How would I do that? Apart from applying them at compile time? 16:01 Jeija kaeza: Do you think uneditable settings will be merged any time soon? Or are there other plans, like completely restructuring settings (like some proposals said)? 17:33 AgentFire Is anybody here an admin of Liberty Land? 17:51 exio4 I know more python than you apparently! 17:51 Megaf can that be reverted? 17:51 rubenwardy Aliasing doesn't convert, afaik. 18:08 Amaz Could you compress the map? 18:09 Megaf 13:09:21: ERROR[main]: Subgame  could not be found. 18:20 VanessaE Megaf: hm, didn't realize. 18:51 Amaz VanessaE, concerning this post/commit/update to dreambuilder https://forum.minetest.net/viewtopic.php?p=162686#p162686 The door textures are not mine, but Esteban's. He made them, but had no idea how to make a pull request with them. 18:53 Amaz Okay. It's just in the post you said: "Amaz' door images" which got me worried! 18:56 kilbith "Chocolatey is a package manager for Windows"
22:32 ShadowNinja Megaf: Is your server interact-only-on-request? 23:05 Megaf ShadowNinja: Yes it is, why? 23:53 ShadowNinja Megaf: I've got a c program that clears out players without interact. 23:55 da3m0n22 ola, any idea why rendering world takes great amount of time on one particular server? 23:57 Megaf da3m0n22: is it your server? 23:57 Megaf ShadowNinja: So, I run it from the world folder? 23:58 ShadowNinja Megaf: Do you mean the datastorage_ ones? Those just storewaypoints. You can delete the empty ones and move the used ones to datastorage/ and remove the datastorage_ prefix. Also update UI if you haven't already, it no longer creates enpty files, it requires the datastorage mod for waypoints though.